- Superstat are Marketing and Purchasing specialists with over 20 years’ experience in the office supplies market. “The Technology Group were extremely proficient with the installation process. In my eyes the phone system just magically appeared overnight! There was minimal disruption and a seamless transition. Superstat pride themselves on good customer service and responsiveness. Their current phone system didn’t match these ideals. Customers would be hearing the call ring, before the Superstat team even knew the phone was ringing. Customer complaints increased in regards to the teams responsiveness to calls; in their view they had been waiting longer than was appreciated. Call reliability was poor and often dropped leaving callers and Superstat frustrated. The team struggled to get to grips with the system, it was difficult to navigate, despite their constant efforts with the lengthy instruction manuals. 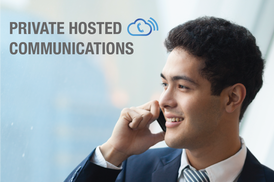 We provided Superstat with our Private Hosted Solution coupled with top of the range Yealink handsets. Superstat now have on screen, telephone and mobile integration to improve responsiveness and accessibility. 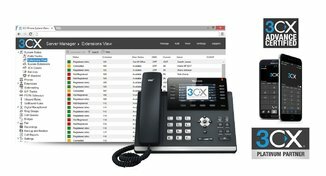 Senior staff members can be more flexible and are now able to work from home using their 3CX mobile app as an extension of their phone system, connecting office calls via the internet to avoid any mobile signal blackspots in rural residential areas. Initially this wasn’t a requirement of Superstat’s but they have found added value in the feature. They now use call recording for dispute management, helping them to take control of situations with facts, as well as a sales aid, allowing their sales agents to listen back to calls for reference avoiding information being missed. Caller ID recognition helps Superstat to identify callers by their name before they even speak, providing a very personable approach to customer service. In addition, complex hunt groups recognise the callers number and quickly routes them to the associated account manager/department. Departments are now able to pick up any phone that’s ringing within the office with a simple press of a button. Call stats are monitored in the background automatically, management now have the power to analyse each point of contact across the business to see how many calls they’re receiving and making. In both the sales and credit control departments this is particularly useful, as it helps the teams to work load plan and be as efficient as possible with their time.